These are also (Gluten + Dairy Free, Vegan). A paleo take on a chocolate classic. One bite and you’ll be hooked. Combine the coconut oil and hazelnut butter well and put in the freezer to firm up. When the hazelnut mixture has set use two teaspoons to mould rough balls then dip them in the melted chocolate. Add a flake or two of Maldon salt if including. Notes: If the chocolate is too warm when you dip the bites it will melt the hazelnut butter so make sure it’s quite cool and gently reheat if it gets too stiff. 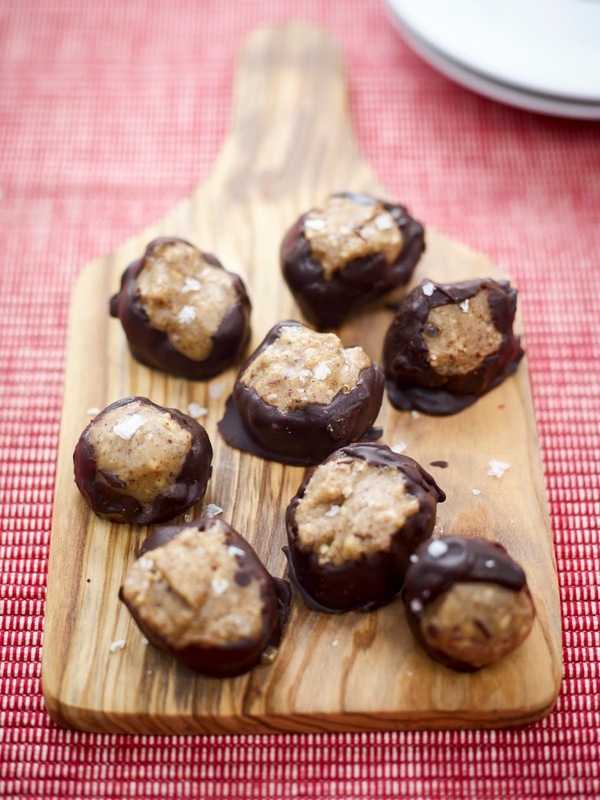 What do you think of these Chocolate Hazelnut Bites? Are you looking for some protein bars for after a gum workout, spinning class or run? How about making some of these Pumpkin Protein Bars? This protein hit packs a punch in taste. You can find this recipe here: Pumpkin Protein Bars. (Gluten + Dairy Free, Vegan). One of my all-time favourite treats is Millionaires Shortbread. My Grandma used to make it me every Birthday, Christmas, Easter or just as a special treat because she knew how much I loved it. I always try to make it my children as a special treat too as it is such a special treat. Family faves, chocolate millionaire bars, are given a Brazil nut twist. You can find the recipe here: Brazillionaires Shortbread. "Strive Footwear New AW Collection : Review"